Ryan Marsh is a 1996 graduate of the University of Nebraska-Lincoln where he earned his Bachelor of Music in Education. 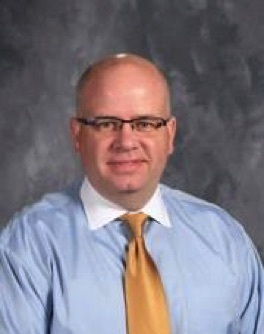 In 2007, he earned a Master of Education in Educational Leadership degree from Doane College. He began teaching 5-12 Band for Malcolm Public Schools in 1998. In addition to directing the band program, he teaches a high school music appreciation course, serves on the scholarship committee and hosts one of the area's largest music contests for middle school students, which consistently brings more than 2000 students from area schools to participate in the two day festival. Prior to his tenure at Malcolm, he was the 5-12 band director for Sidney Community Schools in Sidney, IA. Mr. Marsh is a native of Fremont, NE and currently lives in Lincoln. He routinely plays percussion and sings in the choirs at Southwood Lutheran Church in Lincoln where he is a member. He has adjudicated at area solo and small ensemble contests. As a member of the Cornhusker Marching Band he had the opportunity to arrange for both the winds and the drumline. Arranging for winds and percussion continues to be a passion for him. His professional memberships include NSBA, NAfME/NMEA and ASCD.